The good thing about using a server-grade machine as your desktop is having raw computing power at your fingertips. The downside is living next to a machine that sounds like a fleet of quadcopters taking off. Luckily, loud server fans can be replaced with quieter units if you know what you’re doing. Servers are a breed apart from desktop-grade machines, and are designed around the fact that they’ll be installed in some kind of controlled environment. [Juan] made his Dell PowerEdge T710 tower server a better neighbor by probing the PWM signals to and from the stock Dell fans; he found that the motherboard is happy to just receive a fixed PWM signal that indicates the fans are running at top speed. Knowing this, [Juan] was able to spoof the feedback signal with an ATtiny85 and a single line of code. The noisy fans could then be swapped for desktop-grade fans; even running full-tilt, the new fans are quieter by far and still keep things cool inside. But what to do with all those extra fans? Why not team them up with some lasers for a musical light show? Laser cutter owners may find this online box design tool which [Jon] built quite useful. It’s got a few more joint options than the Inkscape box design add-on does. [Michail] has been working on a transistor-based full adder. He’s posted a Spice simulation if you want to learn about the design. Play your favorite Atari Jaguar games on an FPGA thanks to the work [Gregory Estrade] did to get it running on a Stratix-II board. You can pick up the VHDL and support tools in his repo. If you’re just curious you can watch his demo vid. Here’s another final project from that bountiful Cornell embedded systems class. This team of students made a maze game that forms the maze by capturing walls drawn on a white board. And finally, here’s a unique chess board you can build by raiding your parts bin. [Tetris Monkey] made the board from the LCD screen of a broken monitor. 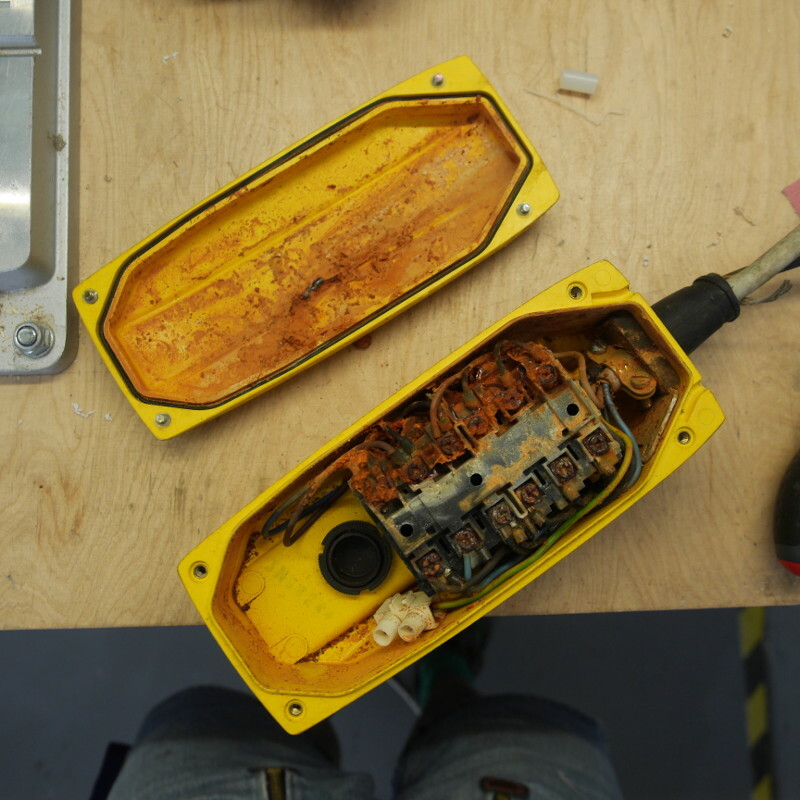 The playing pieces are salvaged electronics (like big capacitors) against corroded hardware (like nuts and bolts). We think it came out just great! 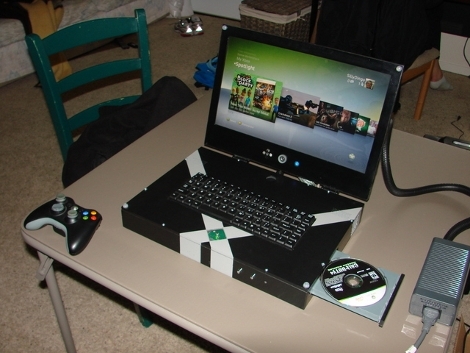 [TheTwoJ] and his friend built a laptop-form-factor Xbox 360. Their extensively documented process was inspired by [Ben Heckendorn’s] work. The result is a brick when folded up but a good-looking (albeit loud with 8 fans) gaming rig. There’s everything you would expect; LCD screen, integrated WiFi, camera, optical drive, and a full keyboard. These poor saps seem to have spent a portion of their student loan on the build but we understand how easy it is to let your budget get out of hand. They’re trying to recoup through eBay auction. Take a look at the walk through after the break. If you’ve got the spare dough, you can try your hand at this with our three part series on building an Xbox 360 laptop.